It is my pleasure to introduce to you two brand new members of the AZIMA Board Members, Bill Swartz joins the AZIMA Board of Director’s as the VP of Sponsorship, and Jeff Hecht joins the crew as the new VP of Public Relations. I’d like to wish them well in their new leadership roles. For the purpose of this introduction, I thought I’d ask each of them a few questions intended to provide a bit of an ice breaker. Elise Redlin-Cook: What and/or who inspired you to seek a seat on the board? Bill Swartz: I have admired AZIMA right from the start. I love the way the organization has a warm personality and welcoming mood, while still delivering great events with great content! Mike Wolf reached out to me and indicated there might be an opportunity to take a seat on the Board if I was willing to do some heavy lifting by taking the Sponsorship effort to the next level after the great job that has been done to date totally setting that whole piece up. I jumped at the opportunity! Bill: I have attended events as regularly as my schedule would allow right from the kickoff forward. Elise: Which, if any social networks do you care to connect with other AZIMA members on? Bill: I am a total Facebook addict (www.facebook.com/billswartz), a big LinkedIn user ([email protected]), and a moderate user of twitter (@billswartz). Bill: Mac since the beginning of time. Cause I’m cool like that. Nuff said? Elise: Are you driven by any passions outside of the interactive industry? Bill: I’m driven by a passion to give positive energy, encourage personal transformation, and to learn as much as I can about things outside my usual daily experience. I am an avid (daily) hiker of Piestewa Peak (I run the Piestewa Peak Facebook group), and an avid practitioner of yoga (my fave instructor is Alex Austin, At One Yoga). 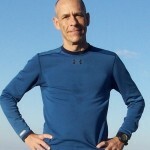 Jeff Hecht: My dear friend Becky Seymann got me involved at the registration table at AZIMA events, but the amazing people I have met and the interesting programs have kept me coming back again and again, and wanting to help out however possible. Jeff: I have kept contact with AZIMA members through Facebook (www.facebook.com/jeffhecht) and Twitter (@jeffhechtaz), and what I consider to be the most important, in real life. Lunch or happy hours with my AZIMA friends is the best! Jeff: As a PR practitioner, I am certainly interested in topics relevant to my field of expertise, including crisis communications and message and brand management. On a personal note, I am a sports fan (Redskins football and Coyotes hockey are at the top of my list), all things 70s and 80s, Howard Stern, and traveling whenever possible. I would like urge all AZIMA members and supporters to say hello to our new Board of Directors! Guest Post By: Heather Cooan, Marketing Campaign Analyst with Direct Alliance Corporation, Heather works alongside Google employees to create and optimize adwords campaigns for small to medium sized businesses. Yes, folks, the autoresponder is dead! It has been annihilated by the king, relevance. This is just one of the gems I captured from the most recent AZIMA event that took place this past Tuesday April 13, 2010 featuring Clate Mask, CEO and Co-founder of Infusion Software and Consulting. With the aroma of sizzling fajitas caressing my senses, Clate gave a very clear and intuitive presentation on email marketing 2.0.Clate is convinced that it is time to marry CRM and email marketing together to create the most relevant campaigns possible. Gone are the days of ‘one size fits all’ email blasts to your entire list, the time has come to treat your customers as customers and not as a list of leads. Successful email campaigns from here on out will involve paying attention and appropriately responding to user behavior with highly targeted and relevant information that aims to improve the user experience. Contributing value, building, and solidifying relationships and rapport with customers is where it’s at. Segmentation targeting along with automation tools, like the software developed at Infusionsoft, as well as delivery methods that are more then just email make up the new yellow brick road we should be following to increased customer loyalty and ultimately, conversions. Makes sense to me, why haven’t we always done it like this? This was my second social event with AZIMA. I thoroughly enjoyed the presentation as well as the networking opportunities with this group. There was ample time for discussion after the presentation and I don’t know about you, but I live for the Q&A portion of presentations, this is where the best information is. Really great, in depth questions were asked like, “How do we do a better job in email marketing when it comes to mobile devices”? The networking opportunities at AZIMA are explosive! They even supply you with two free drinks to get your networking mojo flowing and make things a bit easier, a huge bonus for people like me who are fairly new to the industry. I managed though. I met an interesting array of people, including people from the cool little start-ups like Sean Coleman, CEO of OrangeSlyce, a job board connecting students and small businesses, all the way up to members of some of the larger agencies. I met students, and professionals in between jobs, I even scored an invitation to Shwaag from CEO Eric Keosky-Smith! Oh, and did I mention the nacho bar? 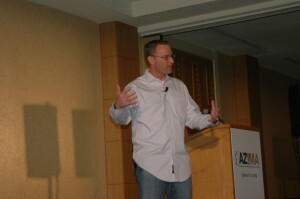 Clate Mask, the keynote speaker of the next AZIMA Social Event scheduled on April 13th, 2010 is the CEO and Co-founder Infusion Software & Consulting. Infusion provides complete CRM solutions to small businesses that want to automate and improve their sales, marketing and overall customer management. Prior to joining Infusion, even a year before finishing business school, Clate worked at a dot com start-up called North Sky, where he was instrumental in building the company, and eventually facilitating the sale of the company to About.com in 1999. Clate is married and has five children. He enjoys raising his children, loves to play golf (he shot his first hole-in-one on June 14, 2006! ), basketball, softball and racquetball – and don’t even get him started about ping pong. I’ve asked Clate a few questions so that we could all get to know him a little better before we have the pleasure of meeting him on next Tuesday. Elise Redlin-Cook: Quality content vs. the right content vehicle…which is more important? Clate Mask: Quality of content… every time. Having said that, I’m leaning more and more toward the power of video for (quality) content distribution. Elise Redlin-Cook: What’s the best advice you have for our audience, whether it be your own or was given to you by someone else? Clate Mask: Stop trying to grow your business without first establishing your core philosophy – why you do what you do, what’s the meaning, what’s the point, why does it matter beyond money. Until you get that right, you’re grasping at straws. After you get that right, everything makes more sense. Clate: Yes. His name is Joe Manna and he works for Infusionsoft. Elise: What was the last book you read or are currently reading? Clate: Crush It by Gary Vee. Great book about building your personal brand. Elise: When you think of a company that is doing “it” right (“it” can be whatever you want “it” to be)…which one comes to mind? Clate: Zappos. Love their culture and the way they’re building the company through superior customer service. Are you interested in learning more about Clate and his insights on increasing leads and sales? 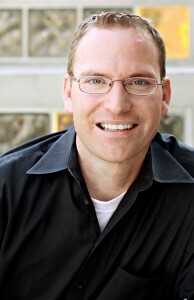 On April 13th, 2010 at Tempe Mission Palms, Clate will speak on “Email Marketing 2.0- How to Increase Leads and Sales” at our Monthly Social Event. We hope to see you all there! Register Now! 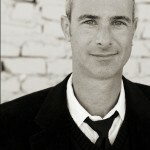 Don’t miss tonight’s Arizona Interactive Marketing Association event at Tempe Mission Palms featuring Bill Leake, the CEO and co-founder of Apogee Search.In an attempt to get to know Bill a little better prior to his presentation, we asked him some questions that we thought we’d share with you. Elise Redlin-Cook: Bill, if you were stranded on a desert island and can only access three websites…which would you choose … and of course, why? Bill Leake: Facebook. With Facebook, we don’t really need email, we can keep in touch with most people we care about, and with messaging/chat, have multiple form factors. Second, Wikipedia which will help me MacGyver anything I might need. And last, but not least, YouTube: Moving pictures are worth 10’s of thousands of words. Elise: Great picks! What marketing trend do you consider as the next “big thing” that will change the way companies interact with their audiences/customers? Elise: Quality content vs. the right content vehicle…which is more important? Bill: The vehicle. You can have a great horse buggy, or a phenomenal choo choo, but if everyone is doing the automobile thing, it doesn’t help for jack! Elise: What’s the best advice you’ve ever been given? And, what’s the best advice you’ve given someone else? Elise: Both excellent pieces advice.Now, probably a question on a lot of minds, is there such a thing as a “social media expert/guru”? Bill: Nope. Well, there are plenty of self-described and self appointed ones. Elise: Haha. I think many of us can agree with that. What was the last book you read or are currently reading? Elise: Who are the three people (or companies, organizations, etc.) that everyone should be following on Twitter? Bill: Me, @marketing_bill – I won’t tweet at you, Guy Kawasaki, @GuyKawasaki, See how the master of faux authenticity and automated systems does it. And of course something you actually are passionate about (there’s more to life than social media, but social media can help enhance the rest of your life). Elise: How has social media helped/hindered your ability to create your own personal brand? Bill: It has hindered me by creating a whole new set of time requirements and platforms to follow and has also made it harder to control the perceptions. But, it has helped me by, like a small town, forcing a bit more authenticity and through force multiplier potential. Elise: What new skill set will be required of the next generation of marketers? If you’re interested in finding out more about Bill, and the answer to “Is Social Media a Waste of Money?” then you won’t have to wait long. Attend the AZIMA event tonight! We are no longer selling presale tickets online, but you can still register at the door, which opens at 6:00PM. We will be serving a light dinner, and two drinks are included with the purchase of your ticket. Complimentary Valet Parking for this event! One of the core missions here at the Arizona Interactive Marketing Association is to help local marketing services firms, businesses, educational institutions and students improve their overall understanding and application of interactive marketing best practices. As an integral step in attaining this goal, AZIMA has created an Academic Outreach Program. The program will provide one or more scholarships to Arizona universities each year and participates in the development of curricula, events and research that help shape academic outputs and act as a catalyst for growing Arizona businesses. We will provide a conduit to internship opportunities for students, as well as jobs for recent graduates. AZIMA’s VP of Academic Affairs, Jeff Walters has been working with ASU and has produced this useful document, AZIMA – Academic Outreach & ASU to assist anyone considering offering an internship position or hiring recent graduates from the school at their organization. Its full of helpful information, resources and contact information to help with this endeavor. Additionally, at the recent AZIMA event our members and visitors had the pleasure of hearing from Kathleen Taylor with the Graduate Career Management Center of ASU. She discussed the Resume Book, Strategic Marketing and Services Leadership 2010 Candidates & 2011 Candidates. This book highlights the resumes of W. P. Carey MBA students specializing in Strategic Marketing and Services Leadership. These students will be graduating from the full-time MBA program in May 2010 and 2011, and seek full-time marketing positions and summer internships. Together these two documents will assist any local organization looking for an intern or a graduate as a full-time employee. AZIMA is the place Arizonans turn to for interactive marketing education and networking, providing its members with leading edge online marketing strategies, tactics, and creative executions and this is just another way that we are making an impact on the community. Interested in more information regarding our academic outreach? Feel free to contact us, we are always looking to connect. This weekend, the EduRG Conference is taking place at the Phoenix Convention Center. The conference is aimed towards advancing education through technology and innovation. The mission of EDU Research Group is to advance the quality of education by conducting research that assists the establishments in creating an improved academic environment, and help to match students with their optimum school. The event will feature an expo, workshops, and speakers, including keynote speaker Al Gore. Education is rapidly changing. From when a prospective student begins researching colleges to when they graduate from their selected university, most of the activities required to accomplish this will be conducted on their computer and online. Universities should utilize their website as a primary marketing tool, implementing SEO strategies that can increase enrollment, decrease their cost per lead, cost per enrollment, and cost per start, using the right keywords to attract prospective students to their website, and increasing website traffic while improving lead to start ratio. I wouldn’t be surprised, if many students have made their decision about a university before they even visit the campus. They want all of the resources required to make their decision available at their fingertips. Whether it be virtual tours of the campus and of campus housing to live online chats with academic counselors, this is where institutions are headed and some have already arrived. The event will feature vendors with a variety of educational products and services. It’s a great opportunity for students, faculty, academic institutions, and businesses to come together and share their ideas and resources for moving education forward. Students and faculty can attend the Student Expo for free and get the chance to meet with representatives from hundreds of institutions. This effort also aligns with reducing schools’ carbon footprint. Imagine how many millions of tons of paper a large university goes through each year. Instead, they could place all school materials online, provide laptop rentals or discounts on laptops. There is an incredible amount of opportunity here for businesses. Businesses need to reach out to schools and universities and present these types of solutions with partnerships. Be sure to check it out or recommend it to others that might benefit!